A bucket crossbody is update in warm weather vibes with it's straw fabrication and features a sporty design with webbed strap. 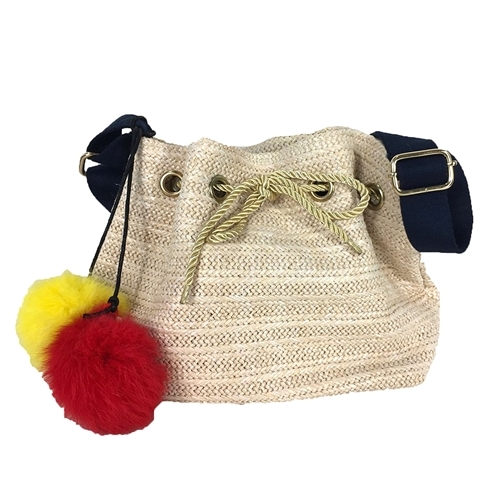 Perfect for spring days and market trips. 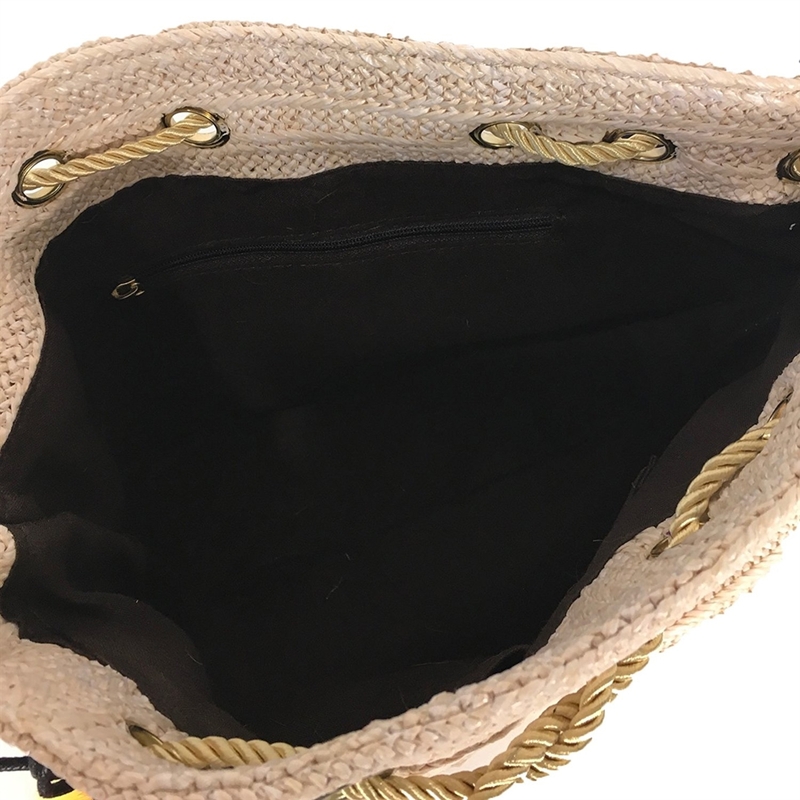 Bucket style crossbody crafted in woven straw. 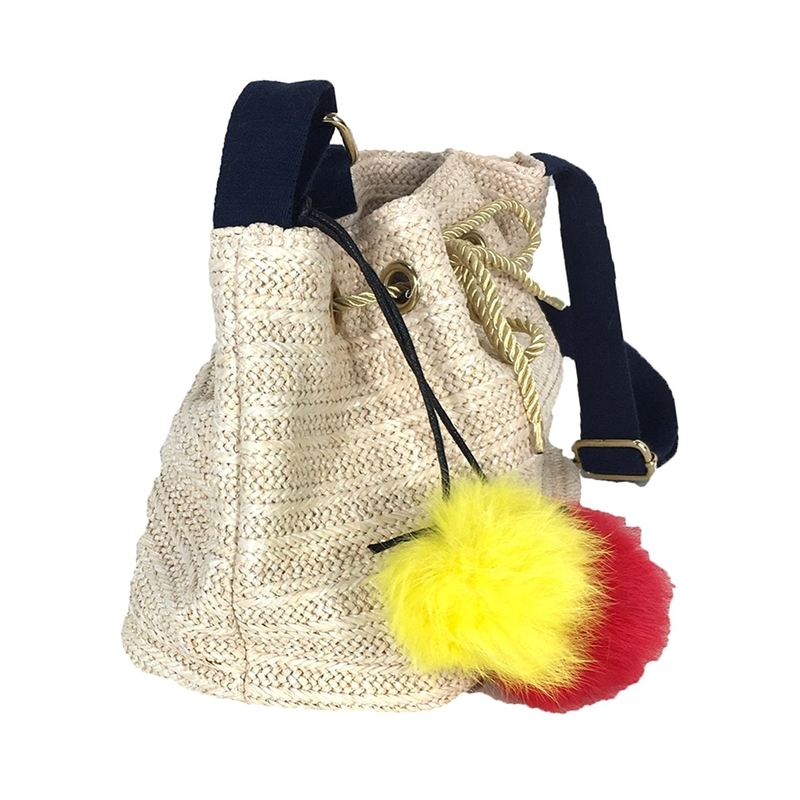 Features colorful pom pom bag charms. Adjustable webbed crossbody strap to 21" drop. Laced top with satin rope tie closure. Lined with interior zip & slip pockets.